Veteran centric brokerage, careers as a real estate Sales Agent. Are you an experienced Sales Agent looking for that next step in your career or are you currently looking at getting licensed? 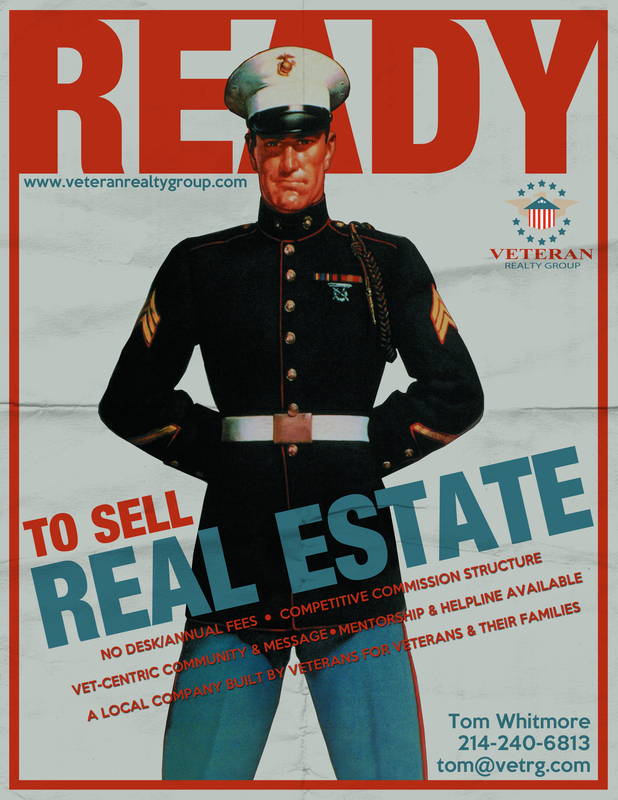 Veteran Realty Group is looking for motivated individuals and teams to join our team! Competitive commission splits, no desk fees, marketing support and full broker support. We are an Agent centric brokerage and everyone works as a team. Contact Tom Whitmore @ 214-240-6813 or tom@vetrg.com to set up an interview!